We live with him, and we’re in a relationship with him,” Clary said of Kelly, who returned to jail Wednesday for failing to pay child support. 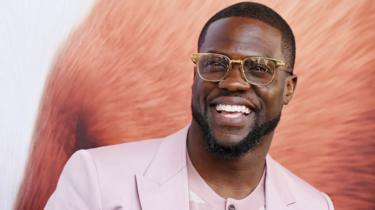 That is what happened to 26-year-old Eli Waduba Yusuf, who told the BBC it was it was like a “dream” when US comedian and actor Kevin Hart directly contacted him about the portrait he’d created. The reaction to Hart’s reply had more than 310k likes in the first 24 hours with people tweeting their congratulations to Yusuf and wishing him well. Another tweeted her thanks to Hart for recognising Yusuf’s talent. 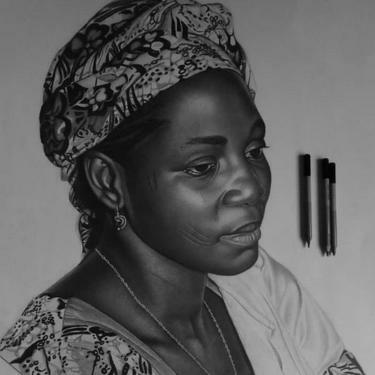 “His work showed me the possibilities of art, so I decided that whatever I see I must replicate and do even better,” he said. Whoever the lucky recipients of the new portraits are, Yusuf’s art has just got very real. The National Youth Service Corps, NYSC has sanctioned popular artiste, David Adeleke, aka Davido, for violating camp rules during the mandatory three-week orientation camp. For “absconding” from the camp during the orientation camp, the Corps had to “dekit” the artiste, which brought to an end his participation in the 2018 Batch ‘B’ Stream II in Lagos State, where he had been posted. The artiste violated many of the scheme’s regulations. Other NYSC bylaws violated by Davido include bringing vehicles into the orientation camp; disclosing official information; engaging in private practice; taking part in partisan politics and reporting late for duty. The NYSC Director of Information, Adenike Adeyemi, said in a response to an enquiry, that the Corps had communicated with the popular musician over his activities during his service year, however, did not say what punishment had been meted out to him for breaking several bylaws. Recently, Lagosians in particular and Nigerians in general were stunned into a state of shock by the reported arrest of Nigeria music star Adekunle Temitope (Small Doctor) by the Nigeria Police for threatening to shoot a law enforcement officer in the discharge of his lawful duty on the Lagos Abeokuta expressway and for illegal possession of firearms. Just like in other parts of the world, celebrities, are often identified with unimaginable weird and gangster behaviours as exemplified by the hooligan conduct of Small Doctor in threatening to shoot an officer of the state with a gun, which is highly reprehensible and condemnable. Notwithstanding the court exoneration of his unlicensed gun status as alledged by the police on arraignment, Adekunle Temitope had broken the law by his criminal conduct of threatening to shoot a law enforcement officer is by implication, a threat to shoot the government and people of Nigeria as represented by the authority of the state in the traffic officer. However, one must commend the Lagos State police command for promptly arraigning the suspect in court and also the judiciary for promptly sentencing him to probation of one year of good conduct while granting him conditional bail bond. But one area of the whole episode which drops a sour taste in the mouth and leaves one emotionally troubled, is the realization that Small Doctor is an ambassador of the Nigeria police which meant that he was supposed to project the image of the Nigeria police in good light to his teeming young fans, supporters and the Nigerian public, but unfortunately, by his crude and gangster conduct, he has proven beyond doubt, that he is not a fit and proper person for the role of an ambassador of a national institution, the Nigeria Police. Adekunle Temitope (Small Doctor) conduct in threatening to shoot an officer of the law, is a reflection of his crudity, lawlessness, disdain and lack of respect, not only for the Nigeria Police force, but also for constituted authority of the state as represented by the traffic official. Therefore, it is only appropriate and reasonable for the Nigeria Police Force (NPF) to as a matter of urgency, strip Adekunle Temitope (Small Doctor) of his ambassadorial status because his conduct is everything unambassadorial and the opposite of the civilized, courteous, friendly, responsible, responsive and law abiding image he is supposed to mirror of the Nigeria police. One would also like to admonish Adekunle Temitope (Small Doctor) to seek psychological and emotional guidance and counselling on public conduct which is very crucial to the success of his music career that has just begun lest he go the way of others before him who allowed stardom and wealth to kill the Dream. The Police have arraigned musician Adekunle Temitope, aka Small Doctor, for unlawful possession of firearms. At least two million direct participants and 90 million viewers worldwide are expected to take part in this year’s edition of the flagship Yuletide end-of-the-year revue of the Lagos State Government, One Lagos Fiesta (OLF) holding from the eve of December 24, 2018 till the wee hours of January 1, 2019. “The One Lagos Fiesta draws parallel with other international cross over events in the world especially in the countdown night of December 31, and with the unique features associated with the fiesta, it is anticipated to attract over 2million direct participants across the State and over 90million viewers via live television and live streaming on social media,” Ayorinde said.“As a Government, we are encouraged by the noticeable achievements recorded as a result of hosting this event and we are taking advantage of this year’s edition to fete millions of Lagosians who have supported this initiative running for the 4th consecutive year. Katy Perry came from ninth place in 2017 to unseat Beyonce as 2018’s highest paid woman in music, according to Forbes. Beyoncé, 37, who was Forbes’ 2017 highest paid woman in music, fell to third place ($60 million) as her recent On the Run II tour with husband Jay-Z fell mostly outside of their scoring period. Forbes states that her appearance on the list, with earnings of $32 million is largely due to a successful tour that brings in “seven figures per stop”. “A graduate of Law from the University of Lagos, Tosyn was born with sickle cell anaemia which prompted her to start These Genes Project to help people with the condition,”. Banky W joins some entertainers and celebrities who have declared to run for public offices in the 2019 general election including Kanayo O, Kanayo and Shina Peller.